WHY IS ORGANIC SEO IS SO IMPORTANT? “Content, content, and more content!” is the mantra of great online marketing. But why does it matter? Your potential customers are not only looking to you for valuable information about how, why and when to incorporate your brand into their lives, but they also expect to find this information easily online. In order to get online customers find your brand, you need to rank among the major search engine pages. This means you need to be visible on the highest search pages when people look for a product or service related to your brand. Using organic SEO (in the form of blogs social media marketing and website optimization) helps your brand rank in the major search engines naturally. Let’s take it from the top: What is Organic SEO? Organic SEO (Search Engine Optimization) involves an algorithm process to increase rankings in the major search engines rather than paid strategies. It involves a natural progression including top content and keywords as detected and determined by the search engines, like Google. Working towards optimization naturally does not involve PPC or any other type of paid advertising. Search engines incorporate a complex algorithm to identify top content and increase rank. To achieve these higher rankings, professional SEO experts focus on keyword creation, content and backlinks. Organic SEO is so important because it helps websites rank and maintains these positions over time. Search engines including Google continuously update its algorithms. The optimization team remain on top of these changes and ensure your web strategy is competitive and compliant. The best way to generate organic SEO results is to determine how people are finding you online. Answering these questions assist in generating relevant keywords and guided content. With natural optimization strategies, we implement, monitor and modify search engine practices. Organic SEO can be supplemented with alternative marketing techniques, like Pay Per Click or Native Advertising. Marketing Superpowers To The Rescue! Our creative content team combined with our SEO and Content Marketing experts know a thing or two about creating interesting and effective content about your brand. We are storytellers that put your brand front and center.  Over the years, Left Coast clients have trusted us to build their brand from the ground, up. Our Digital Marketing program has expanded and we are now able to offer a holistic approach to brand storytelling that reaches beyond the printed page and into the interactive digital realm. From a deep dive into your digital footprint with our Digital Marketing Summary, to a comprehensive marketing calendar, to a web revamp with our Web Design team and custom content creation, we are the Dream Team you’ve been waiting for. Contact us to get a consultation on SEO strategies and Content Marketing to bring your digital marketing plan on strong in the New Year!